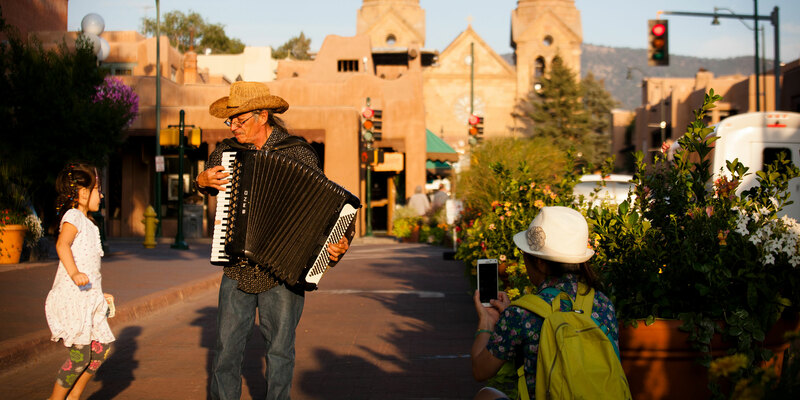 With sun-filled days, fun-filled evenings, and plenty of free activities for kids and their families, Santa Fe is making it easy to plan your much-needed spring break vacation. From March 1 through April 21, 2019, take advantage of great Kids Free deals in New Mexico’s capital—from lodging, food, arts, and culture, to other kid-friendly attractions. In Santa Fe, there are tons of things for kids to enjoy—from outdoor adventures to one-of-a-kind cultural experiences and a variety of new foods to try. Here are just a few of this year’s Kids Free Spring Break specials. Check them out and start planning your trip to Santa Fe today. 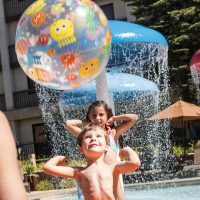 Bring your kids to Santa Fe, where they can stay and play free at La Fonda! Stay in one of La Fonda’s historic rooms with two adults and up to two children under 17, and you’ll receive complimentary breakfast for the whole crew. Plus, you’ll get four free tickets to Meow Wolf: House of Eternal Return, a complimentary family pass for up to six people to the Harrell House Bug Museum, and a fun-filled La Fonda scavenger hunt for the kids. 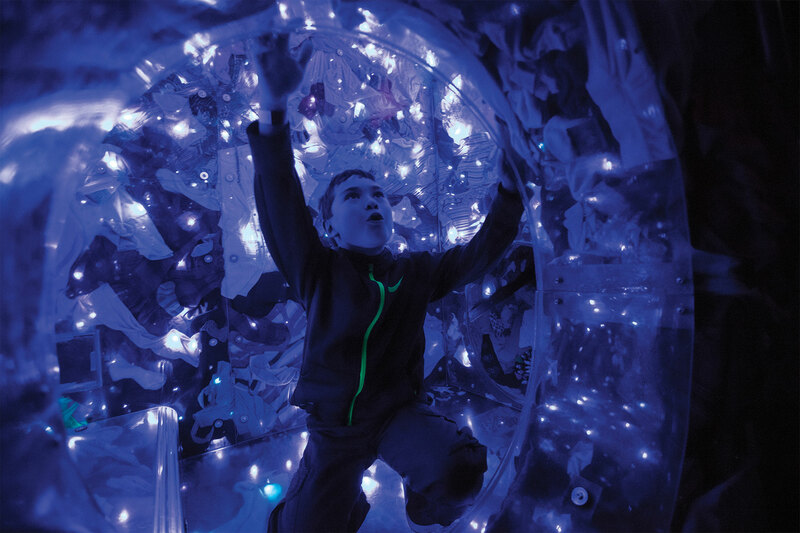 Kick your spring break vacation off with a visit to Meow Wolf’s House of Eternal Return—20,000 square feet of the world’s most talked-about, immersive interactive art and storytelling experience. 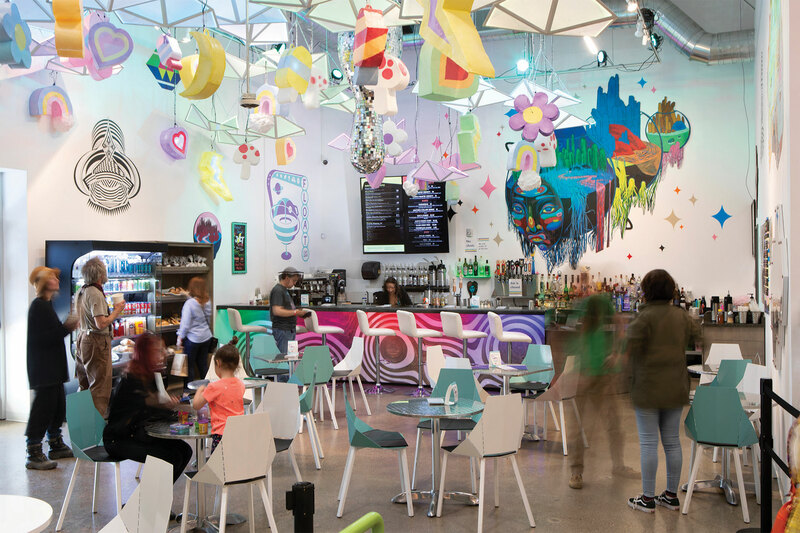 After spending the morning exploring the art installations, video and music displays, and extended reality content, refresh yourselves at FLOAT Cafe. Bonus tip: kids who mention “Kids Free Santa Fe” get a free Italian or French soda! Yummers! While on vacation, you’ll want to enjoy stunning cuisine in beautiful settings, but don’t forget to bring the kids! Experience the spirited atmosphere of Julia and get a complimentary kids’ entrée with a purchase of an adult entrée. At Terra Restaurant, kids eat for free with an accompanying adult meal. A new experience for the whole family. Get a free private lesson with the purchase of any new skateboard. Lessons come with ‘skate homework’ to help young students get started with the basics, so you can continue to learn even after spring break is over. Enjoy all the art and culture Santa Fe has to offer while giving your children the opportunity to become junior artists. 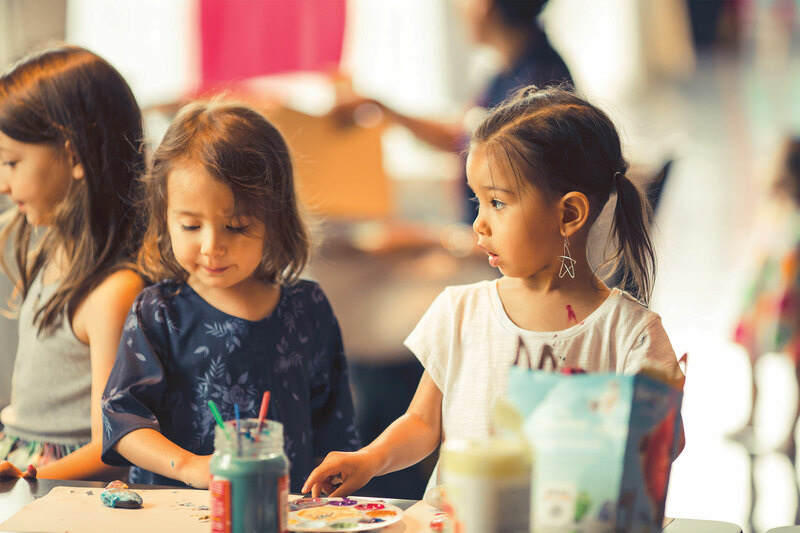 Let the kids become part of the Santa Fe experience and create their own masterpiece during their stay. Get closer to the wildlife at Wildlife West. For each adult admission ticket, you’ll receive free admission for a child (12 years old and younger). The 122-acre park provides a glimpse into the wild side of New Mexico for locals and visitors alike, but it’s so much more than an interactive zoo. This is where animals who have been in accidents (or rescued from an inhumane environment) find their forever homes when they’re no longer able to live independently in the wild. The Wildlife West Nature Park is the only zoo in the country built entirely by paid young people. What kid (or parent) would say no to an afternoon of chocolate-themed fun? Kids will learn about the Cacao tree, make and decorate their own chocolate bar wrapper, and learn a Mayan folktale about cacao in the jungle. One parent must accompany each child. Suitable for ages five to 11. Pay only for the adult and child admission is free (up to two children per family). It may be spring, but the skiing in Santa Fe is still incredible. During Wednesdays in March, kids ski free. Buy two adult full-day lift tickets and get one child (12 and under) lift ticket at no extra cost. Head to the Inn of the Governors and enjoy some homegrown Santa Fe fun. Your kids receive a coloring book drawn and produced by local artist and musician, Megan Burns. Each page highlights a unique Santa Fe feature for you to explore with your children. For more fun, take advantage of a free pass to the Harrell House Bug Museum and Science Shop in the nearby DeVargas Center. Think snakes, tarantulas, millipedes, and so much more! All of these free kids’ adventures and more are waiting for you in Santa Fe. From free stays for children under 16, to resort credits, to free tamales and cookies at a historic bed and breakfast, Santa Fe’s hotels have tons of kid-friendly offers and discounts to help make your trip even more memorable. Whether you’re staying in contemporary style or more rustic settings, there’s something for you in The City Different. Visit SantaFe.org to make the most of your spring break.